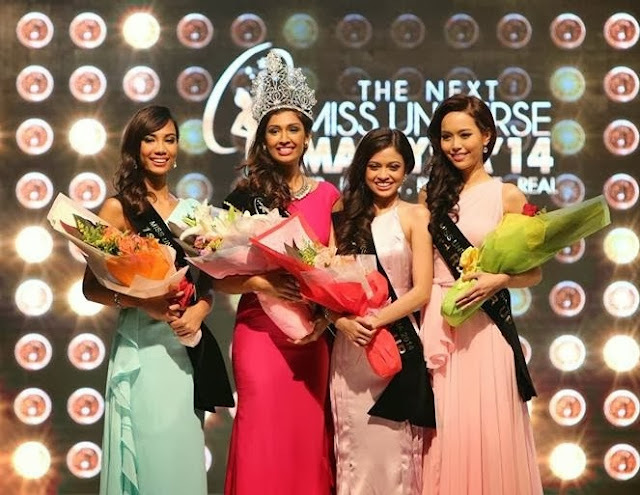 SHAH ALAM, Malaysia - Sabrina Beneett (23, 1.78m) was crowned Miss Universe Malaysia 2014 at the Setia City Convention Center in Shah Alam on December 19. She will represent Malaysia in Miss Universe 2014. Lalitha Monisha, Kausalya Ida and Lyn Lim were the first, second and third runners-up, respectively.